Council regularly reviews its traffic management and parking restrictions. We are also working to improve our transport infrastructure and connectivity including cycleways. We ask for your feedback here. The North Sydney Community Strategic Plan 2018 - 2028 identifies community demand for continued improvement to walking facilities in North Sydney. As part of Council’s response to this demand, we are proposing to install new kerb extensions at the intersection between Atchison Street and Oxley Street, St Leonards. The intent of the works is to improve access, amenity and safety for people walking in the area. New kerb extensions on Atchison Street. These will shorten pedestrian crossing distances and provide improved visibility to/from pedestrian and road areas. New garden beds and landscaping. A concept plan showing the proposed changes is available in the document library. The changes will include the removal of the existing central traffic islands on Atchison Street, which do not meet contemporary minimum width requirements for a pedestrian refuge. The proposal will not reduce the number of parking spaces in the area. If there is general community support for the proposed kerb extensions, it is intended that construction will be undertaken prior to the end of June 2019. Please note that all comments received will be considered, however it is not intended to reply to individual respondents. For further information, contact Lindsay Menday, Sustainable Transport Projects Coordinator on 9936 8100. As part of the 2018/2019 implementation of North Sydney Council’s Local Area Traffic Management (LATM) Action Plans, it is proposed to install traffic calming devices in Union Street, McMahons Point. If there is general community support for the proposal, it is intended that works will be finalised by the end of June 2019. Any comments you may have regarding the proposal will assist in determining the desired traffic arrangements in Union Street. If a change in the existing traffic arrangements in Union Street is not considered warranted by the community, then this proposal may not proceed. For further information, contact Iman Mohammadi, Traffic & Transport Engineer on 9936 8100. As part of the 2018/2019 implementation of North Sydney Council’s Local Area Traffic Management (LATM) Action Plans, it is proposed to install traffic calming devices in Russell Street, Wollstonecraft. The proposed speed cushions will increase safety by slowing vehicle speeds. A speed cushion is similar to a speed hump, except that it does not extend the full width of the roadway. The proposed speed cushions will be 75mm high to ensure minimal noise generation. A plan of the proposal is shown in the document library. Any comments you may have regarding the proposal will assist in determining the desired traffic arrangements in Russell Street. If a change in the existing traffic arrangements in Russell Street is not considered warranted by the community, then this proposal may not proceed. Feedback closed 1 March 2019. The North Sydney Community Strategic Plan 2018 – 2028 identifies community demand for continued improvement to walking facilities in North Sydney. As part of Council’s response to this demand, a concept design has been prepared for new pedestrian crossings at the intersection between Albany Street and Oxley Street, St Leonards. The intent of the works is to improve access, amenity and safety for people walking in the area. Council has received prior community feedback about it being difficult to cross at the intersection, and pedestrian activity in this area will continue to grow as nearby developments are completed and with the opening of the Crows Nest Metro Station. Note: The changes would require the removal of car parking spaces on approach to the intersection to ensure statutory setbacks to the new pedestrian crossings are provided. The setbacks are to ensure visibility to and from pedestrian crossing areas. The spaces required for each of the crossings are shown in red on the plan. The plan can be found in the document library. The project includes the expansion and landscaping of pedestrian areas around the intersection, including the installation of new garden beds. Some trees may be impacted by the works, however, should this occur, these will be replaced with new plantings. Should you require any further information, contact Lindsay Menday, Sustainable Transport Projects Coordinator on 9936 8100. It is Council’s understanding that buses are experiencing difficulties negotiating the narrow section of Spruson Street between Holdsworth Road and Phillips Street. With cars parked on both sides of the narrow section, bus operator has advised that this has caused difficulties when inbound and outbound services meet at the intersection and may result in potential collision with parked vehicles. Council at its meeting on 27 August 2018 considered the matter and resolved to survey the residents of Spruson Street and surrounding streets with regard to the removal of three (3) parking spaces on the western side of Spruson Street between Holdsworth Road and Phillips Street to improve bus access and road safety. As part of the proposal, it was found that there is an opportunity to compensate the parking loss by installing 90-degree angle parking on Spruson Street between property no. 50 and 68 where the road width is approximately 12.8m. Considering there are more driveways on the eastern side than the western side of the subject road section, it is proposed to install 90-degree angle parking on the western side to maximise parking (net increase of 13 spaces) and No Parking restrictions on the eastern side to maintain two-way traffic flow. Further at its meeting on 7 September 2018, Council resolved to include an additional alternative option in the Spruson Street survey to install 2-hour timed parking on the eastern side of Spruson Street between Holdsworth Road and Phillips Street and in Phillips Street between Ben Boyd Road and Spruson Street to offset the proposed loss of 3 parking spaces in Spruson Street. Additionally, it is proposed to extend the 2-hour parking restrictions in Spruson Street to Colindia Avenue. The use of 2-hour parking restrictions will prevent the long-term parking of commuters and businesses while still providing some flexibility for local residents and their visitors. Please note however under Council’s Resident Parking Policy some residents may not be eligible for a permit and there is a cost in obtaining a permit. Information on Council’s Resident Parking Permit Policy, including eligibility and fees, can be found on Council’s website https://www.northsydney.nsw.gov.au/Council_Meetings/Forms/Parking or contact Customer Service on 9936 8100. The purpose of this survey is to determine if there is support to retain existing restrictions or change existing parking restrictions and configurations. The survey is not a voting form as such, but will assist in determining support for the parking arrangements proposed in your street. It is expected that the results of this survey will be considered by the North Sydney Traffic Committee on Friday, 22 March 2019. All members of the community are welcome to attend this meeting. Please refer to the plan in the Document Library. For further details on the changes please refer to the report and plan in the Mount Street document library. The parking changes will be implemented on completion of the streetscape works at 100 Mount Street. Feedback closed midnight Sunday 10 February 2019. Council undertook consultation in July 2018 with regard to streetscape upgrades in Mount Street between Denison Street and Walker Street. The streetscape works on the northern side of Mount Street are currently being carried out as part of the re-development of 100 Mount Street. Based on the community consultation feedback, Council has proposed changes to the parking restrictions to provide more loading facilities for local businesses. 7 x 1 Hour Meter 8.30am-midnight Mon-Fri; 1 Hour 8.30am-12.30pm Sat on the northern side. 6 x 1 Hour Meter 8.30am-6pm Mon-Fri; 2 Hour Meter 6pm-midnight Mon-Fri; 1 Hour 8.30am-12.30pm Sat on the southern side. Feedback closed midnight Sunday 3 February 2019. North Sydney Council has recently reviewed the existing parking restrictions in the North Sydney Parking Area 26 within the boarder of Oak Avenue, Park Avenue, Ernest Street, Young Street and Belgrave Street. Please refer to the attached map indicating the parking zones under review. It is Council’s understanding that residents and their visitors are experiencing difficulties in obtaining parking close to their property due to increased demand, particularly from commuters and visitors to the area. Since Council is unable to increase the supply of on-street parking, introducing a number of parking strategies will provide a more equitable way to manage parking and give residents and their visitors fair access to the resource. In addition, the proposal is to rationalise the parking restriction variations to simplify the time limits. The most effective way to manage commuter parking is to extend parking restrictions, introduce parking meters and make these areas resident exempt. Combined with enforcement, this ensures that there is a turnover of vehicles and improves the likelihood of finding a vacant parking space. Please note however under Council’s Resident Parking Policy there is a cost in obtaining a permit, and some residents may not be eligible for a permit. The purpose of the attached survey is to determine if there is support to retain existing restrictions or introduce additional metered and/or timed parking restrictions. The survey is not a voting form as such, but will assist in determining support for the parking restrictions proposed for your street. It is expected that the results of this survey will be considered by the North Sydney Traffic Committee under Traffic Delegated Authority. To follow up on the progress, please visit Council website via the link above. All comments received will be considered, however it is not intended to reply to individual respondents. For further information, contact Council’s Traffic and Transport Operations Department on 9936 8100. Feedback closes 29 March 2019. Amendments were made to the intersection between Young Street and Grasmere Road in 2017.
concerns that speeds had increased in Grasmere Road as a result of the intersection changes. concerns that drivers were confused over who has priority at the intersection. concerns about insufficient visibility to and from the pedestrian crossing point over Young Street to the south of Grasmere Road. In response to these concerns, Council conducted a review of the intersection and engaged Transport and Urban Planning Pty Ltd to conduct an independent Road Safety Audit. The Road Safety Audit recommended a number of signage and linemarking changes to improve safety, which will be made early in 2019. Further details regarding the review, and a full version of the Road Safety Audit, are available in the Council report in the document library. Before and after speed counts for the intersection were collected as part of the review, and are provided in notification letter in the document library. Council is seeking community feedback on two possible amendments to the intersection as shown on the plan in the document library. Feedback closes Monday 4 March 2019. As part of Council’s commitment to improve pedestrian and traffic safety, it is proposed to install a raised pedestrian crossing on the northern side of the intersection of Abbott Street and Palmer Street. The proposed raised pedestrian crossing will increase visibility of approaching drivers, slow down traffic and reduce the crossing distances. A plan of the proposal is available in the document library. If there is general community support for this proposal, it is intended that works will be finalised by the end of June 2019. Any comments you may have regarding the proposals will assist in determining the desired traffic arrangements at the intersection and Abbott Street and Palmer Street. If a change in the existing traffic arrangements is not considered warranted by the community then this proposal may not proceed. All comments regarding the proposal should be received in writing by Monday 4 March 2019. For further information, contact Mr Nathan Wu, Traffic & Transport Engineer on 9936 8100. Feedback closes Wednesday 27 February 2019. As part of Council’s commitment to improve pedestrian and traffic safety, it is proposed to install a raised pedestrian crossing on Yeo Street, on the western side of the intersection with Watson Street. The proposed pedestrian crossing incorporates a flat top road hump and kerb extensions which will increase visibility of approaching drivers, slow down traffic and reduce the crossing distance. 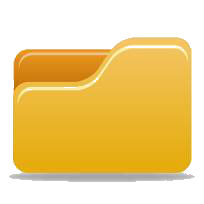 A copy of the plan is available in the document library. Please note: the proposal will result in a loss of three on-street parking spaces in order to be compliant with Australian Standards and RMS guidelines. Any comments you may have regarding the proposals will assist in determining the desired traffic arrangements in Yeo Street. If a change in the existing traffic arrangements in Yeo Street is not considered warranted by the community then this proposal may not proceed. Feedback closes 4 January 2019. North Sydney Council has recently reviewed the existing parking restrictions in the Wollstonecraft Parking Area 15 on Boronia Street, Cable Street, Milray Avenue, Russell Street, Shirley Road, Telopea Street and Tryon Avenue. See map in document library map with highlighted roads indicating the area being reviewed. It is Council’s understanding that residents and their visitors are experiencing increasing difficulties in obtaining parking close to their property due to increased demand, particularly from commuters and visitors to the area. Since Council is unable to increase the supply of on-street parking, it is proposed to introduce a number of parking strategies which will provide a more equitable way to manage parking and give residents and their visitors fair access to the resource. In addition, the proposal is to rationalise the parking restriction variations to simplify the time limits. The most effective way to manage commuter parking is to extend parking restrictions, and/or install parking meters and make them resident exempt. Combined with enforcement, this ensures that there is a turnover of vehicles and improves the likelihood of finding a vacant parking space. Information on Council’s Resident Parking Permit Policy, including eligibility and fees, can be found on Council’s website https://www.northsydney.nsw.gov.au/Council_Meetings/Forms/Parking or contact Customer Service on 9936 8100. Council also operates a Visitor Parking Permit scheme. Vehicles that display the permit are able to park in residential zones and are not subject to the time restrictions. Each residential property is entitled to 30 Visitor Permits per year, and each permit is valid for one day. For further information, including fees, visit Council’s website https://www.northsydney.nsw.gov.au/Business_Parking/Resident_Visitor_Parking/Visitor_Parking or contact Customer Service on 9936 8100. The purpose of the survey is to determine if there is support to retain existing restrictions or introduce additional metered and/or timed parking restrictions. The survey is not a voting form as such, but will assist in determining support for the parking restrictions proposed for your street. It is expected that the results of this survey will be considered by the North Sydney Traffic Committee under Traffic Delegated Authority. To follow up on the progress, please visit Council’s website via the link above. North Sydney Council has recently reviewed the existing parking restrictions in the North Sydney Parking Area 2 within the boarder of Ennis Road, High Street, Clark Road, Adderstone Avenue, Stannards Place, Bradly Avenue, Hipwood Street, McDougall Street, and Broughton Street. Please refer to the attached map indicating the parking zones under review. TO: 2 Hour Parking 8:30am-6pm Mon-Fri, Permit Holders Excepted Area 22. See map for location of changes on Council's website. It is expected that these changes will occur shortly, within the next three weeks. Minutes of the Traffic Committee meeting held on 10 December regarding this matter are available on Council website at www.northsydney.nsw.gov.au/tpc or by contacting Council on 9936 8100. Council appreciates your co-operation in this matter. Feedback closed 12 October 2018. North Sydney Council has recently reviewed the existing parking restrictions in the North Sydney Parking Area 22 on Walker Street between Ridge Street and McLaren Street and on the southern side of Ridge Street between Miller Street and the Cul-de-sac. Refer to the map in the document library indicating the parking zones under review. The most effective way to manage commuter parking is to extend parking restrictions, introduce parking meters and make these areas resident exempt. Combined with enforcement, this ensures that there is a turnover of vehicles and improves the likelihood of finding a vacant parking space. Please note however under Council’s Resident Parking Policy there is a cost in obtaining a permit, and some residents may not be eligible for a permit. The purpose of this survey is to determine if there is support to retain existing restrictions or introduce additional metered and/or timed parking restrictions. The survey is not a voting form as such, but will assist in determining support for the parking restrictions proposed for your street. UPDATE: Following community consultation, the North Sydney Traffic Committee approved the proposed relocation of the Mail Zone outside 34-40 Union Street, McMahons Point as per the plan available in the Closed/Expired Document Library. It is expected the changes will be implemented by 9 November 2018. Relocation of the Street Posting Boxes will be undertaken by Australia Post. Motorists are advised to always check signs before parking. Feedback closed 5pm Friday 17 August 2018. Council has received representations regarding sight issues exiting the driveway of 34-40 Union Street, McMahons Point due to vehicles parked to the west of the driveway. While it has been the longstanding position of Council not to remove parking adjacent to driveways, there may be an opportunity to adjust the current parking arrangements to improve visibility at the driveway, while retaining the on-street parking provisions. It is proposed to relocate the Mail Zone, currently positioned to the east of the driveway, to the western side of the driveway. This will restrict vehicles from parking within up to 7.5 metres west of the driveway, when the Mail Zone is not in use. 2 spaces of ½ Hour Parking which currently extends either side of the driveway will be retained by shifting the entire zone to the eastern side of the driveway. In addition, Australia Post will relocate the existing red street posting box and the green distribution box to the proposed Mail Zone location. A plan of the proposed changes is in the Document Library. Council is seeking feedback on the proposal and will use this feedback to progress to implementation. The attached survey is not a voting form as such, but it will assist in determining the support for the proposed changes. Please note that all comments received will be considered, however it is not intended to reply to individual respondents. You can follow the progress of this matter at the above webpage. If you have any enquiries regarding the proposal, please contact Michaela Kemp on 9936 8100. The results of the resident parking survey were reported to the Traffic Committee meeting on 7 September 2018, including proposed changes to on-street parking. Feedback closed 5pm Monday, 13 August 2018. Council has received correspondence from a number of residents in Wilson Street concerning traffic and parking issues at the entry/exit of Wilson Street during the morning peak. Concerns have also been raised that, garbage trucks are experiencing difficulties accessing the street due to vehicles parked on both sides of the street at narrow sections. Following investigations, Council has proposed two options to address the concerns being raised. Prior to completing the survey, please review the proposed plan in the document library. The survey is not a voting form as such, but it will assist in determining the support for the parking restrictions proposed for your street. Council will take all comments received into consideration in making a determination on this matter. If you have any enquiries regarding the proposal, contact Nathan Wu of Council’s Traffic Planning Section on 9936 8100. UPDATE: The results of the resident parking survey were reported to the Traffic Committee meeting on 4 May 2018, including proposed changes to on-street parking. Members of the public are welcome to attend this meeting. The minutes were subsequently adopted at Council’s meeting on 28 May 2018. Notifications of proposed changes can be found here. Feedback closed Friday 13 April 2018. Council is seeking feedback to determine if the majority of the residents wish to retain the existing unrestricted parking or introduce 2 hour or 4 hour parking restrictions in Spruson Street and the other streets listed on the survey. There will be another survey later in the year to include the other streets in Area 30. The survey is not a voting form as such, but it will assist in determining the support for the parking restrictions proposed for your street. If there is no support for the proposed changes to the parking restrictions, then they will not occur. Council undertook public exhibition of the North Sydney CBD Laneways concept plan (Laneways Masterplan) between November 2017 and January 2018. The community’s response was largely positive with some concerns being raised around the need to provide sufficient areas for business servicing activities within the precinct. In March 2018, Council resolved to endorse the concept masterplan, noting the need to resolve more detailed design matters. The re-development of 100 Mount Street and required streetscape works represents an opportunity to implement an early stage of the concept plan by improving the pedestrian environment and revising the parking layout along its Mount Street frontage. Pedestrian activity in the Mount Street area is expected to increase considerably over the next few years with nearby major developments bringing significant growth in the area. The plan has been prepared to implement the first stage of the endorsed Laneways Masterplan. It can be viewed in the document library. The plan further proposes to deliver improvements as part of a comprehensive streetscape upgrade that will expand and improve public space with increased footpath/public domain space, and new high quality paving. No changes are proposed to the kerb or parking on the southern side of Mount Street. On 15 June 2018, Council’s Traffic Committee considered the proposed changes and recommended consultation be undertaken prior to any further implementation. The streetscape works would likely be undertaken in October/November 2018. Feedback closed 27 August 2018. Council has recently reviewed the existing parking restrictions in the Cammeray Parking Area 20 affecting Anzac Avenue, Cammeray Avenue, Ernest Street, Lillis Street, Lytton Street, Moodie Street and Rosalind Street. Refer to map in 'Document Library'. The most effective way to manage commuter parking is to extend parking restrictions, introduce parking meters and make these areas resident exempt. Combined with enforcement, this ensures that there is a turnover of vehicles and improves the likelihood of finding a vacant parking space. Information on Council’s Resident Parking Permit Policy (refer to 'Important Links' to view this Policy), including eligibility and fees. Council also operates a Visitor Parking Permit Scheme. Vehicles that display the permit are able to park in residential zones and are not subject to the time restrictions. Each residential property is entitled to 30 Visitor Permits per year, and each permit is valid for one day. For further information, including fees, refer to 'Important Links'. This survey is not a voting form as such, but will assist in determining support for the parking restrictions proposed for your street. Feedback closed Friday 11 May 2018. Council has received an application from FDC Construction (NSW) Pty Ltd to change parking restrictions on Edward Street between Mount Street and the cul-de-sac during upcoming construction of the Shore School Physical Education Centre (SPEC). Prior to submitting feedback ensure you have read the stakeholder letter and parking plan in the document library. 1. THAT the existing parking arrangement in Rangers Road between Murdoch Street and Spofforth Street be retained. 2. THAT Council installs ‘Motorbike Only’ signs on the small kerb space between the driveways of 56 and 58 Rangers Road. Feedback closed 20 March 2018 (extended). Council is seeking feedback on the expansion of 2-hour parking restrictions with permit holders exempt in Rangers Road, Cremorne (between Murdoch Street and Spofforth Street). Feedback closes 23 February 2018. Council is seeking feedback on walking and cycling improvements proposed in Merlin Street, Neutral Bay (between Ernest Street and Military Road). Landscaping and public domain improvements are also proposed as part of these works. Before completing the feedback survey please refer to the Concept Plans and FAQs available in the 'Document Library'. For further information contact Council’s Sustainable Transport Projects Coordinator, Lindsay Menday on 9936 8100. Area 19 Crows Nest North - Parking Restriction Review Survey. Survey closes 01 December 2017. Council has recently reviewed the existing parking restrictions in the Crows Nest Parking Area 19 bounded by Chandos Street, Alexander Street, Albany Street and Oxley Street. Refer to map in 'Document Library' - red lines indicating the approximate scope of proposed changes. Please note that restrictions in Willoughby Road will not include resident parking. Thank you for your assistance in completing this survey. Please note that all comments received will be considered, however it is not intended to reply to individual respondents. For further information contact Council’s Traffic and Transport Operations Department on 9936 8100. Survey closed 24 November 2017. Council has recently reviewed the existing parking restrictions in the North Sydney Parking Areas 9 and 10 on the west side of Pacific Highway affecting Bay Road, Edward Street and Lord Avenue. Refer to map in 'Document Library' showing the scope of proposed changes. Feedback closed 15 November 2017. Council has received concerns regarding parking arrangements in Shellcove Road hindering driveway and footpath access between Billong Street and Hollowforth Avenue, and it is Council’s understanding that the residents in Shellcove Road are experiencing increasing difficulties obtaining parking close to their property, due to increased demand, particularly from commuters. This matter was considered at the North Sydney Traffic Committee on 5 May 2017 and at the Council meeting on 22 May 2017 where it was subsequently resolved that appropriate enforcement of the Road Rules be carried out, and that local residents be surveyed to ascertain their preferences for the ongoing parking arrangements in Shellcove Road. Council has proposed three options (Options 1, 2 or 3) to address this matter as well as an Option 4 to maintain the status quo (i.e. no change). Before completing the feedback survey refer to the Options Diagram available from the 'Document Library' and Council's Resident Parking Permit Policy available under 'Important Links'. The survey is not a voting form as such, but it will assist in determining the support for the parking restrictions proposed for your street. It is not intended to reply to individual respondents - the consultation findings will be made available on this project page. It is expected that the results of this survey will be considered by the North Sydney Traffic Committee on 24 November 2017. All members of the community are welcome to attend this meeting. For further information contact Council’s Traffic and Transport Engineer, Nathan Wu on 9936 8100. Feedback closed 3 November 2017. Council is seeking feedback on which option best responds to the needs of the local community. Options 1 to 3 would require the removal of car parking spaces in the area immediately adjacent to the pedestrian facility to allow for the minimum required sight distances. Council is also including a ‘do nothing’ option (option 4). Before completing the feedback survey please refer to the Concept Plans available in the 'Document Library'. Feedback closed 3 November 2017. Council is seeking feedback on walking and cycling improvements proposed in Bent Street, Neutral Bay (between Winter Avenue and Yeo Street). Landscaping and public domain improvements are also proposed as part of these works. IMPORTANT NOTE: all comments received will be considered in the review of the project, however as there may be a significant number of submissions made, it is not intended to reply to individual responses. The North Sydney Community Strategic Plan 2013-2023 identifies that improved walking and cycling connections are a key priority for the community, and feedback from the community consistently indicates that many more people will walk and cycle for transport when safer, more convenient and more attractive routes are available. In response to this community demand, Council have prepared a concept plan for improved walking and cycling connections along Ridge Street, North Sydney (the Ridge Street Active Transport Upgrade Plan). The Plan proposes significant improvements to walking and cycling facilities such as expanded pedestrian areas, upgraded pedestrian crossings, and new separated cycling paths. The Plan further proposes to deliver these improvements as part of a comprehensive streetscape upgrade that will expand and improve public space with new landscaping and garden beds, additional street trees, new high quality paving, and public amenities such as new seating. Upgrade of two existing pedestrian crossings to substantially reduce the total crossing distances and provide access level with surrounding footpaths. Changes to intersections that will reduce crossing distances for pedestrians, make it easier to see to and from pedestrian crossing points and road areas, and encourage slower vehicle speeds around corners. An expanded pedestrian environment with large areas of new garden beds, new street trees, new areas of paving and new public facilities such as seating and bicycle parking. Changes to the Traffic Control Signals at the intersection between Miller Street and Ridge Street to improve pedestrian safety and provide a dedicated cycle crossing. A new ‘continuous footpath treatment’ at the intersection between Ridge Street and Cunningham Street, which is an area raised above road level so that pedestrian access across the intersections is level with footpaths. A new ‘in-lane’ bus stop catering for passenger set downs on Ridge Street and new signage allowing bus set downs and pick-ups in Miller Street. New bi-directional cycle path on the north side of Ridge Street that is separated from footpaths and road areas. These type of paths are demonstrated to make cycling accessible to a far broader range of people. View the concept plan to see key features of the proposed design (in the Document Library). The design/layout proposed is based on similar active transport/streetscape upgrade projects implemented successfully in other parts of Sydney and internationally. Ridge Street does not need to be widened to accommodate the cycle path which fits within existing kerb lines. The works will reduce the lane widths on Ridge Street which is expected to slow vehicle speeds and emphasise a pedestrian friendly/local road setting in Ridge Street. The lanes and layout have been designed with reference to relevant guidelines and standards. The proposal has minimal impact on car parking provision in Ridge Street. The number of on-street car parking spaces is unchanged. The location of some spaces will change slightly to allow the works to take place. One loading zone space is proposed to be removed to ensure that set-backs to the traffic control signals on Miller Street are consistent with current standards/requirements for safe road operation. For more information contact Council’s Sustainable Transport Project Coordinator, Lindsay Menday on 9936 8100. Council has received correspondence from residents concerned about the availability of on-street parking for residents in Warung Street. Before taking this to the Traffic Committee, Council wishes to survey the residents in the area to ascertain if there is support to propose 2-hour parking restrictions with permit holder’s exemption on southern side of Warung Street. Read Information on Council’s Resident Parking Permit Policy, including eligibility and fees, or by contacting Customer Service on 9936 8100. The purpose of the survey is to determine if the majority of the residents wish to retain the existing unrestricted parking or introduce 2-hour parking restrictions in Warung Street. If there is no support for the proposed changes to the parking restrictions, then they will not occur. If you do wish to comment it would be appreciated if you could complete the survey by Saturday 30 September 2017. It is expected that the results of this survey will be considered by the North Sydney Traffic Committee on 20 October 2017. All members of the community are welcome to attend this meeting. Council has received a request from Hayberry Precinct about availability of on-street parking for residents in West Street, between Hayberry Street and Falcon Street. Before taking this to the Traffic Committee, Council wishes to survey the residents in the area to ascertain if there is support to convert the unrestricted parking to either 2 hour parking restrictions or 4 hour parking restrictions with permit holders exemption. The use of 2 hour or 4 hour parking restrictions will prevent the long-term parking of commuters and businesses while still providing some flexibility for local residents and their visitors. Please note however under Council’s Resident Parking Policy some residents may not be eligible for a permit and there is a cost in obtaining a permit. The purpose of the survey is to determine if the majority of the residents wish to retain the existing unrestricted parking or introduce 2 hour or 4 hour parking restrictions in West Street. If you do wish to comment it would be appreciated if you could complete the survey by Friday 1 September 2017. Thank you for your assistance in completing this survey. If you have any enquiries regarding the proposal, please contact Ms Maria Coyne of Council’s Traffic Planning Section on 9936 8100. Council has received correspondence from residents concerned about the availability of on-street parking for residents in Premier Street, between Ben Boyd Road and Lindsay Street. The purpose of the survey is to determine if the majority of the residents wish to retain the existing unrestricted parking or introduce 2 hour or 4 hour parking restrictions in Premier Street. Council has received requests from residents near Horace Street, Waverton requesting the existing unrestricted parking be converted to restricted parking with permit holder exceptions. The purpose of the survey is to determine if the majority of the residents wish to retain the existing unrestricted parking or introduce 2 hour or 4 hour parking restrictions in Horace Street. Council has received correspondence from residents concerned about the availability of on-street parking for residents in Euroka Street. Before taking this to the Traffic Committee, Council wishes to survey the residents in the area to ascertain if there is support to extend the existing 2 hour parking restrictions and/or introduce 4 hour parking restrictions with permit holders exemption in Euroka Street. The purpose of the survey is to determine if the majority of the residents wish to retain the existing unrestricted parking or introduce 2 hour or 4 hour parking restrictions in Euroka Street. THAT Council implement the parking arrangements in Mount Street, North Sydney as per the attached plan Proposed Parking Configurations dated January 2019 (Proposal 1B). For further details on the changes please refer to the report and plan in the Closed/Expired Surveys document library.